Coding skill shortage? Teach older people to code! We have written ad nauseam on our news page about the skills shortage in IT and especially the problem of getting young people (and in particular young girls) interested in learning IT skills and coding. That was one of the reasons we sponsored three young ladies on the CodeClan course, but while our efforts are only a drop in the ocean it's important that the entire IT industry makes such efforts, if only from the point of view of its vested self-interest. However, a story on the BBC technology website yesterday made me think that we are approaching this from the wrong end, so to speak. 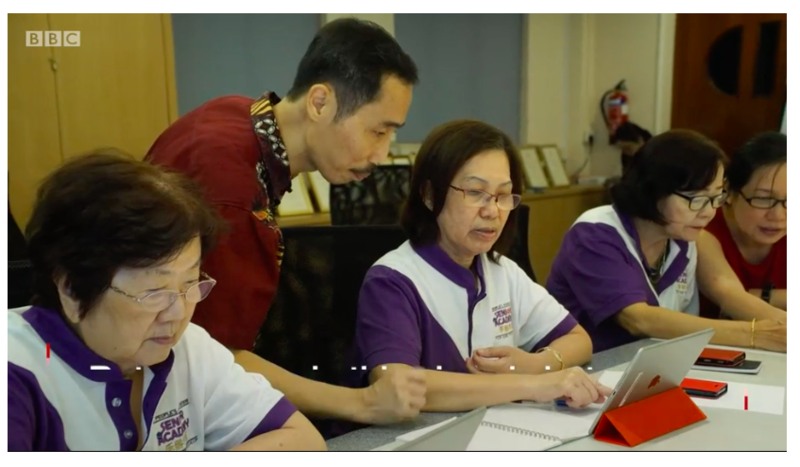 In Singapore, senior citizens are now learning to code, as this video demonstrates. In the UK we have an ageing population, the retirement/pension age is going up, more people are working well into their 70s and beyond so why not try and encourage them into coding and computing?